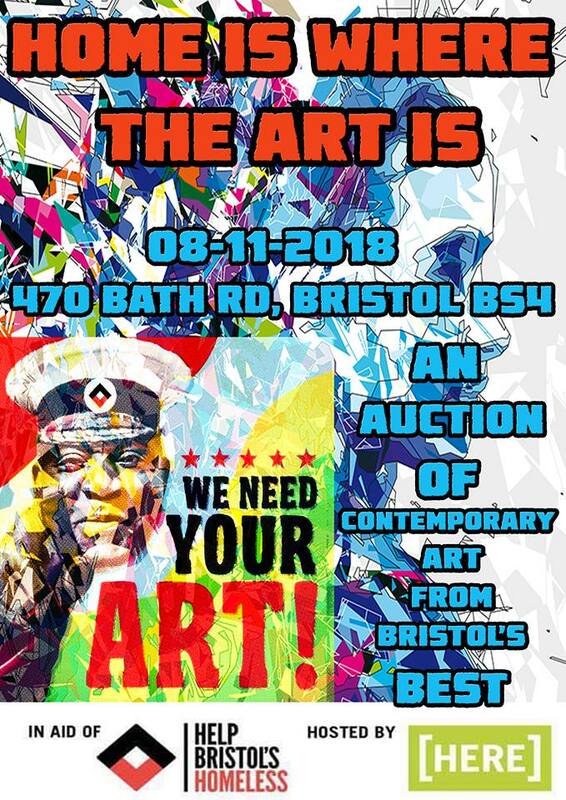 ANOTHER AUCTION OF CONTEMPORARY ARTWORK FROM BRISTOL’S BEST. Once again we’ve joined forces with Help Bristols Homeless to raise much-needed funds. Bristol’s artists have answered the call and donated more than 70 pieces. These works, including original paintings and rare limited edition prints, will be offered for sale to the highest bidder, with all proceeds going to fund the conversion of cargo containers into new homes. This is a free event but spaces are limited so BOOK YOUR PLACE NOW.